Does Artificial Grass Freeze in Winter? Home > Knowledge Center > Does Artificial Grass Freeze in Winter? Homeowners across the country often dread the coming of winter and what it is going to do to their lawns and gardens. In particular, folks who live in colder climates and have natural grass lawns know that the full, green lawn they enjoy throughout spring and summer is going to go dormant once the temperature drops. On the other hand, folks living in warmer climates – and particularly those in drought-prone areas – are used to seeing their lawns turn brown and ugly in the summer. So, either way, many people only get to enjoy their lawns two or three seasons of the year. This is one of the many reasons more homeowners are replacing their real grass with durable, low-maintenance artificial grass, which looks just as green and full in the middle of winter as it does in the middle of summer – regardless of where you live. Of course, if you live in a colder climate or at a higher altitude, it may spend part of the year covered in snow, but the blades that peek through will be just as green as ever. Plus, a lush, green lawn will be waiting for you when the snow melts away. The first thing to know is that you can rest assured that synthetic turf can withstand extreme fluctuations in weather, including freezing temperatures and heat waves. The second thing to know is that your fake grass is not going to freeze to the point of becoming brittle and breaking if stepped on like natural grass will, due to the water content in the blades of natural grass. This is particularly true in Southern California where we do have areas that freeze and experience snowfall, but do not experience extreme, sub-zero temperatures. 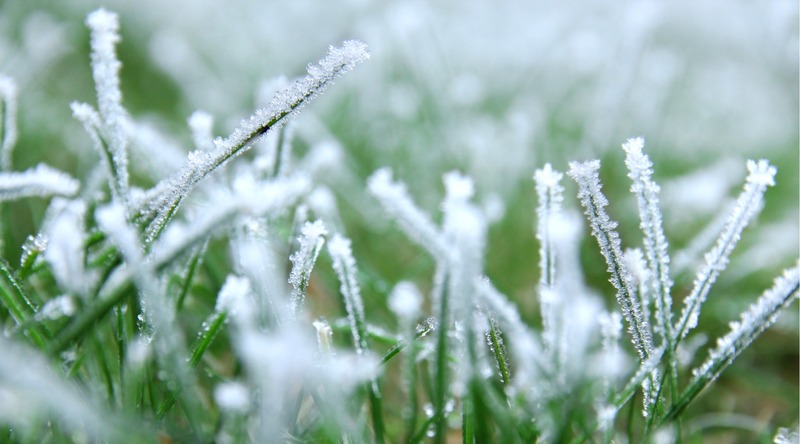 While artificial grass blades do not become brittle and break, it should be noted that freezing temperatures that occur after moisture has been deposited on the grass, such as in the case of rain, freezing rain or snow, can cause the blades to stiffen some in a way that could make your lawn a bit less cushy and soft when walking on it. Now, it is important to note that this does not mean that your artificial grass will not have ice on it. For example, if it snows on your lawn, and then that snow is walked on enough to compact it, it can turn into a layer – or layers – of ice that could remain on your lawn until the weather warms up enough for it to melt. When this occurs, you will need to exercise the same caution you would use when walking on other icy surfaces. It is best to allow the snow or ice to melt naturally and allow the water to dissipate through your lawn’s drainage system. If you need to remove snow from your lawn, be sure to use a plastic snow shovel to avoid damaging your grass. 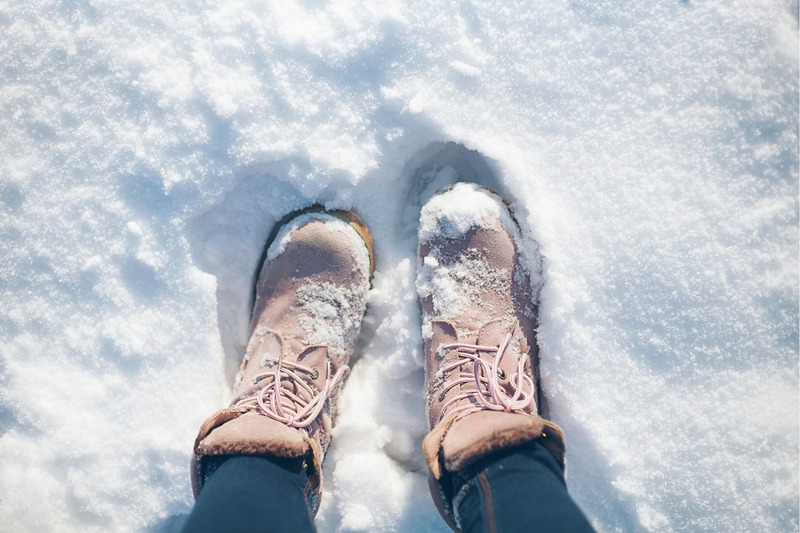 If you are expecting company or just need to remove some snow or ice to allow your children or pets to have some time outside, you can also warm up towels or blankets in your clothes dryer and lay them on the lawn to speed up the melting process. Alternatively, you can cover your manufactured lawn with a tarp or plastic sheeting before light snow or moisture that could freeze is expected. You can then remove the covering (and the snow that has accumulated on top of the covering) to immediately enjoy your lawn for a party or some outdoor play time in the middle of winter. It is best to avoid using salt to melt snow or ice if at all possible. While this will speed up the melting process and your fake grass can withstand the use of salt, the resulting residue can inhibit drainage. Can Artificial Grass Get Wet? Does Artificial Grass Hold Up to Heavy Traffic? Does Artificial Grass Feel Like Real Grass?